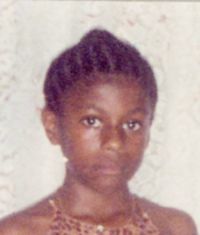 Itâs Izita Jocelyn of Troumaca and she celebrated her birthday on October 24, 2006. From mom Brenda, dad Peccy, brother P.J., sisters Azita and Zita, Grandparents, Aunts and Uncles and the whole family circle. UR2 good 2B forgotten. We love you 100%. Big up!